Everyone knows that. It becomes a game of justification by other means. Its just what everyone does. Then you have to acknowledge that for Trump to make gains he had to do much more than Obama. And I can point to the very policies that Trump used - huge corporate tax cuts and huge deregulations, as well as the promise of substantial changes in trade policy. What were these Obama policies that you credit for his gains? And, no, having a Fed that keeps interest rates at near zero isn’t an Obama policy. It’s great kindness to Obama. Obama inherited a recession. The splendid American economy did what it always does following a recession - recovers. So, it is no miracle that we recovered under Obama - even though it was the SLOWEST amd weakest recovery in living memory. We pretty much recovered in spite of Obama - not because of him. But we have gone on to create new records under Trump. That is pretty much a load of garbage. Big surprise. The Congress doubled the deficit by doing what they always do - outspend revenues. Trump had record revenues, but you cannot keep up with Congress and their spending. Everytime they see revenues go up they figure spending can also go up. Yes it is, because it is harder to do, yet Trump did it. 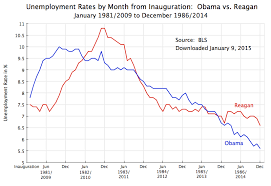 Obama had the weakest recovery in living memnory. Not exactly stellar performance. Precisely. One wants to take credit for one while not acknowledging responsibility for enabling the other. Thats some stupid logic there. Except no one who wants the wall cares. We want the wall, no matter who pays for it. Who cares what you want? You arent getting it. Next you will tell us all its being built and then leave out the fact its really just rebuilding already existing wall in pretty much the same way it was already built. No big beautiful new wall as promised. Did Trump not shepard in HUGE corporate tax cuts? Did he not severely cut regulations stifling businesses of all sizes? Has he not pursued favorable trade deals all over the globe? These are VERY proactive measures to boost business and manufacturing and create JOBS. DId Obama do that? ANY of that? So, what was it that Obama did that was favorable to economic growth, manufacturing surges and small business booming? Obamacare??? Yeah, that helped business a lot. The fact that’s harder is irrelevant, Obama is better. Obama inherited one of the worst financial crisis in recent memory and dropped unemployment at a fast rate than lord reagan. All your talking points fail. Trump inherits near full employment and guves you a thrill up your leg. Do you have posters of trump on the ceiling above your bed? Garbage. Pure “huge” garbage. Dont use adjectives in places they dont belong. What was it that Obama did tha was proactive in the recovery? What was the great, inspired bit of governing that he did to increase employment? As you said, he inherited a huge financial crisis, but that actually means that we only had one place to go and that was up - as much in spite of Obama policies as anything. Obama did nothing on trade. He did nothing on regulations - in fact, made them MUCH WORSE. He did nothing to lure lost corporations home, keep others from leaving and invite new ones to show up. What was it he did to stimulate jobs?? Because I have told you several times what Trump did, and it WORKED - despite us being near full employment, he still found ways to create jobs. Despite a baby boom retirement in full tilt, he STILL found ways to increase jobs. You know how to find the information you seek. You didn’t ask me a question so much as you wanted me to provide your confirmation bias which I won’t be doing. As I said before what was previously posted and that which I responded to was pure garbage. It is amazing how forgiving the Trump acolytes are. He can promise the Mexicans will pay for the wall; doesn’t matter. He can say outrageous things; oh well, he was only joking. Would they be the same unemployment figures that were debunked by Fox News commentariat during the Obama regime?